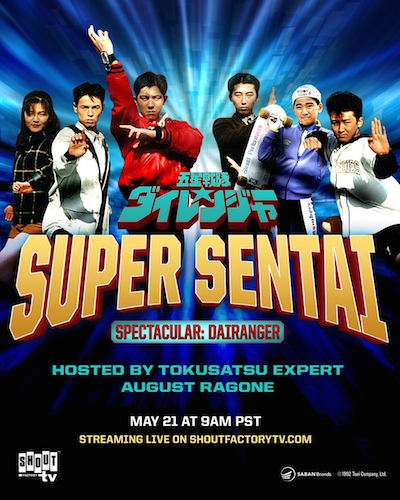 RAGONE HOSTS "SUPER SENTAI SPECTACULAR" 2! DISCOVER THE SECRET ORIGIN OF THE "POWER RANGERS"! Dynamic ad for Shout! Facotry TV's new Super Sentai Spectacular! 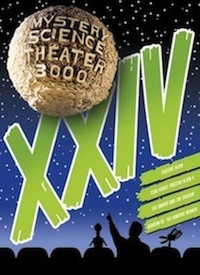 For our fourth marathon with Shout! Factory TV, I'll be back hosting a three-hour streaming event featuring the original Japanese episodes of FIVE STAR TASK FORCE: DAIRANGER (1993), which will be blasting out onto digital screens across the web this Saturday, May 21, 2016 at 9:00 am Pacific/Noon Eastern at Shout Factory TV — for free! 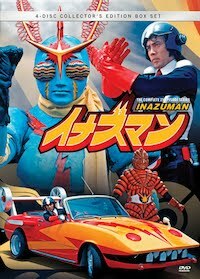 This new marathon will feature the first seven episodes from one the original series that inspired the "Power Rangers", in Japanese with English subtitles. 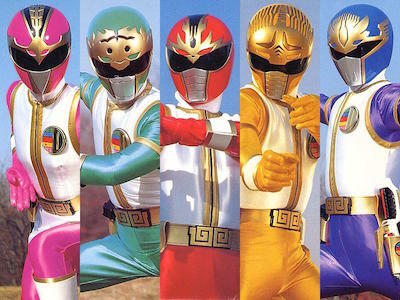 After fans have watched these first episodes during the "Super Sentai Spectacular", immediately following, all 50 episodes of DAIRANGER will become available on Shout! Factory TV. As a returning host, I'll discuss the history of Super Sentai, setting the context as a long-time fan. 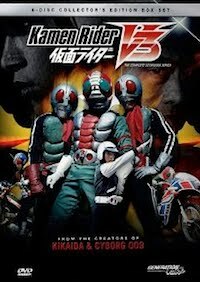 My first experience with Super Sentai was watching the one that started it all: SECRET TASK FORCE: GORANGER in 1976 through 1977 on Sacramento's KMUV-31, San Francisco's KEMO-20 and Honolulu's KIKU-13. So, I'm a real OF (Original Fan). As with our previous marathons, this will also be interactive: Join in on the conversation with myself and other Super Sentai fans, using the hashtag #Dairanger while you watch on Twitter, Facebook, and on Pluto TV (Channel 515), or get the Pluto TV app for tablet and TV devices (Roku, Amazon Fire, Fire TV Stick, Android, Chromecast, and Apple Airplay), mobile (iOS, Android and Amazon), and on the web. So, what's FIVE STAR TASK FORCE: DAIRANGER about? The three Tribes of the Daos Empire — Shura, Dai and Gorma — were peaceful until the Gorma set out to conquer the planet, launching a magical war between the Gorma and Dai Tribes that lasted for 5,000 years. 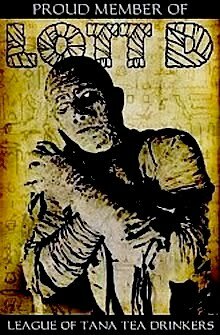 In the end, both civilizations were lost… until now. The evil Gorma have returned. Now, it’s up to Master Kaku to assemble a team of kids with high levels of Qi to become the protectors of the Earth known as the Dairangers! 09:05 am – L-e-e-et’s Tenshin!!! 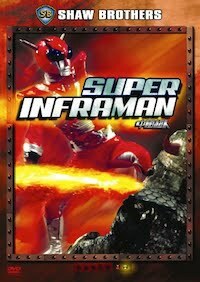 09:30 am – I-i-i-it’s Qi-Power!!! 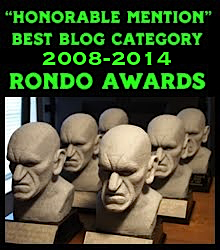 10:00 am – Your Souls, Please! 10:25 am – We’re Naïve! 10:55 am – The Jewels Have Come! 11:25 am – Wind, Cut Through! *Times listed are Pacific time, approximate and subject to change. Charge up your Aura Changers, prepare to Qi Power Changeover, and join us for the "Super Sentai Spectacular" on Saturday, May 21st! 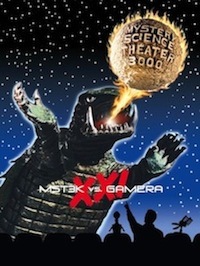 KRAKEN RELEASING "THE RETURN OF GODZILLA"
First Time On US Home Video September 13th! The original, uncut Japanese original finally coming to US video! 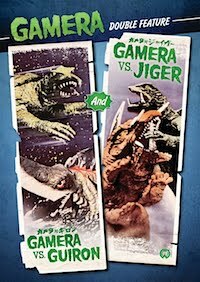 Today, Houston-based Kraken Releasing (a label of Section23 Films, formerly ADV Films), having previously issued GODZILLA VS. 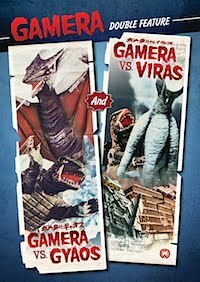 THE SEA MONSTER (1966), GODZILLA VS. HEDORAH (1971) and GODZILLA VS. GIGAN (1972), announced their forthcoming release of THE RETURN OF GODZILLA (1984) for the first time ever on home video in North America this coming September 13th — and will be available in both DVD and Blu-ray editions! 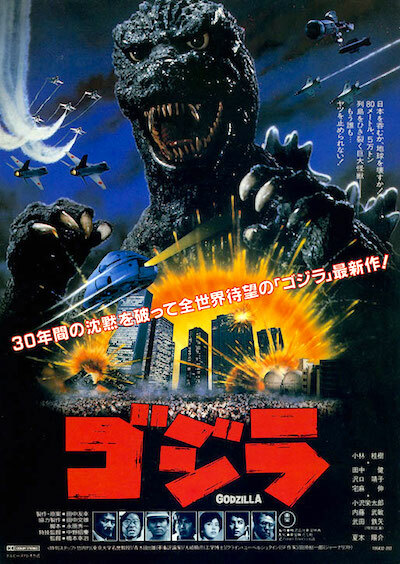 While Koji Hashimoto's film was "Americanized" as GODZILLA 1985 by New World Pictures, featuring Raymond Burr reprising his role from GODZILLA, KING OF THE MONSTERS (1956), opening in the summer of 1985 at theaters nationwide (followed by record home video sales), the original, uncut Japanese version of Hashimoto's 1984 version has never been issued on home video in the US. 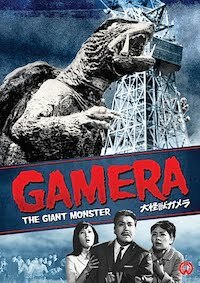 Kraken's press release mentions, but does not name GODZILLA 1985, which has been embroiled in an on-going dispute between Michigan-based home video label, Anchor Bay, who grandfathered the rights to the localization, and Toho International, which disputes those rights. 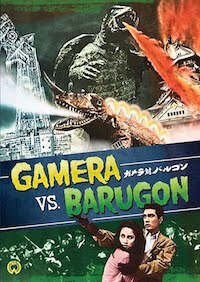 Previously, Anchor Bay released that version on VHS, but subsequent plans for DVD and Blu-ray have been stymied by Toho. 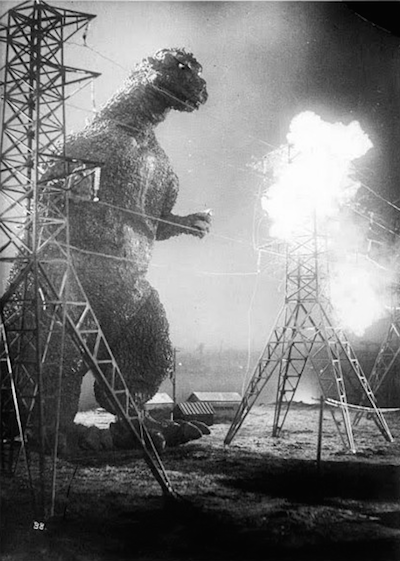 In Kraken's press release, GODZILLA 1985 is downplayed as a "highly edited version that cut over twenty minutes of original footage and effects, changed key plot points and altered the dark dramatic tone and narrative by inserting additional scenes and humor in an attempt to 'Americanize' the film." 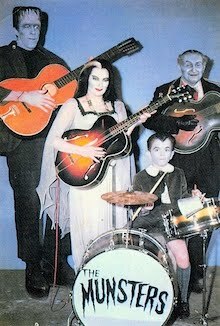 And without addressing it directly, intimate that this version will not be included in their release. 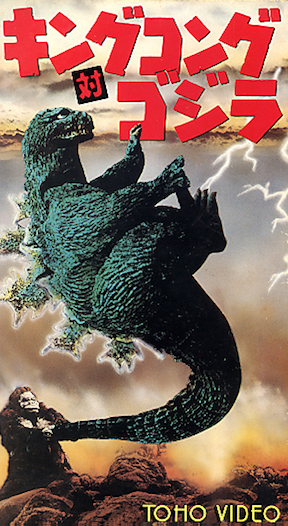 Conversely, Kraken also trumpets their release will feature "both the original Japanese version with English subtitles, as well as an English dubbed version", which might lead one to believe that there are two, separate versions of the film in this release; one being the original Japanese theatrical release, simply titled GODZILLA, while the other being the export version, titled THE RETURN OF GODZILLA. So, this is a case of six of one, a half dozen of the other. 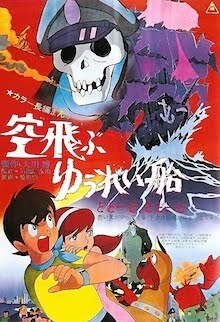 On the one hand, we finally have an official release of Hashimoto's uncut 1984 revival, including Toho's English dub commissioned for overseas sales; while on the other, we lose the R.J. Kizer Americanization, which was completely a product of the self-effacing, self-referential low-budget exploitation sensibilities of the '80s, which hasn't aged well. 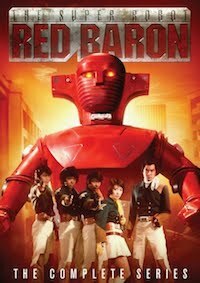 And while both versions have been illusive on the home video front over the years, perhaps its best that Hashimoto's uncut original will finally have its time to shine and be evaluated outside of the shadow of it's American counterpart — for better or worse — and be allowed to stand on its own. 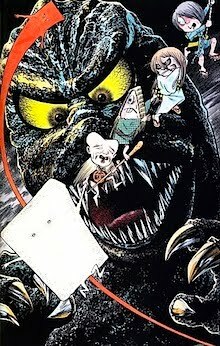 It's time for THE RETURN OF GODZILLA. Standard & Editions Dropping September 27th! 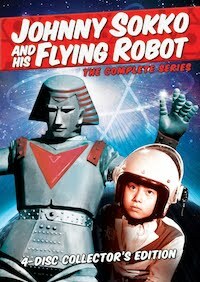 Jacket design for the latest HD 2.0 Remaster of the Ultra Series! 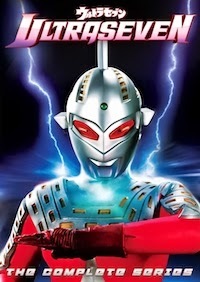 On September 27th, Tsuburaya Productions and Bandai Visual will be issuing the latest in their "HD Remaster 2.0" roster with ULTRAMAN ACE (1972) for the Japanese market in two editions. 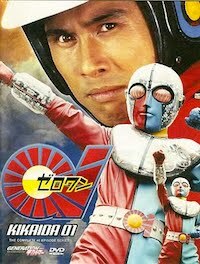 ULTRAMAN ACE was the fifth in the long running "Ultra Series", starting in 1966 with ULTRA Q, and the fourth featuring a titular "Ultraman" character. 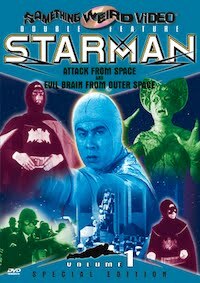 Slipcase for the Blu-ray box of the 5th Ultra Series from 1972! 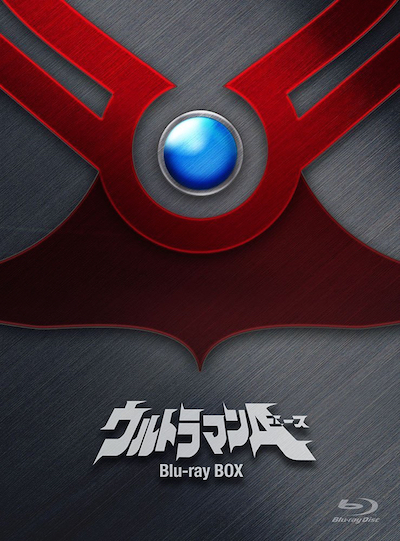 "Under the slogan, 'The Ultra Bottom Line: All-Out War', ULTRAMAN ACE made revolutionary turns, with Seiji Hokuto (Keiji Takamine) and Yuko Minami (Mitsuko Hoshi) merging into a singular Ultra Hero, the solidarity of the 'Ultra Brothers', and a powerful leader in the 'Father of Ultra', creating a show with great appeal." 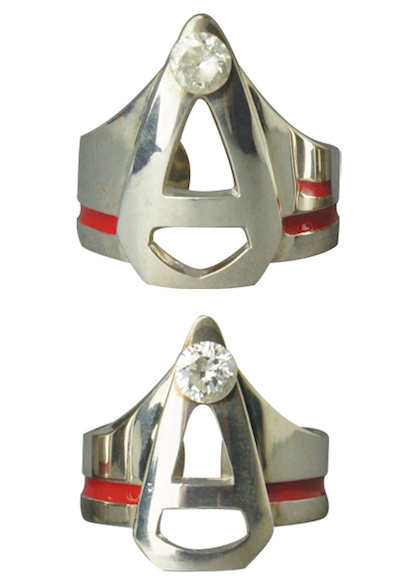 Ultra Rings included with Special Edition (actual product may differ). 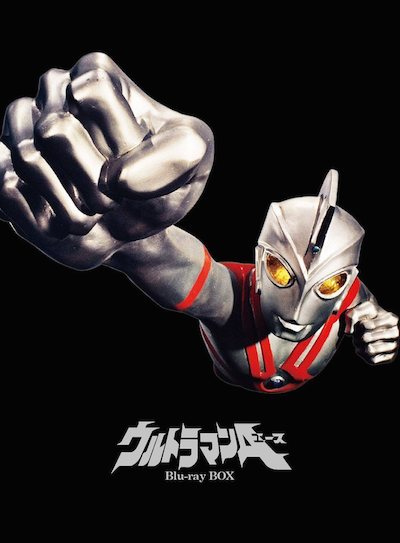 ULTRAMAN ACE is an exciting series that captures the transition from the classic giant monster scenario into the "Henshin Heroes" boom, exemplified by Kamen Rider. 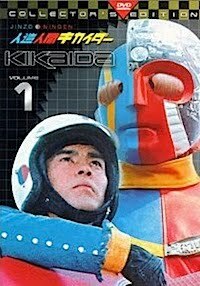 Showcasing bizarre creatures, colorful action, as well as a man and a woman forming a singular superhero, ULTRAMAN ACE is among the best of the '70s Ultra Series! 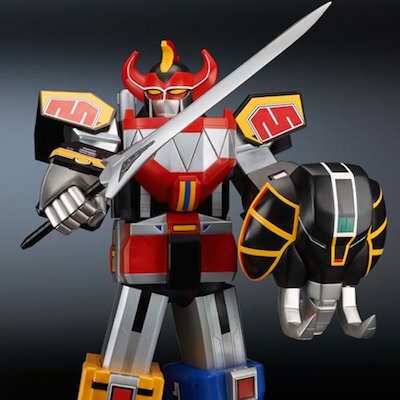 Gigantic Series "Daizyujin" (Zyuranger) in July! 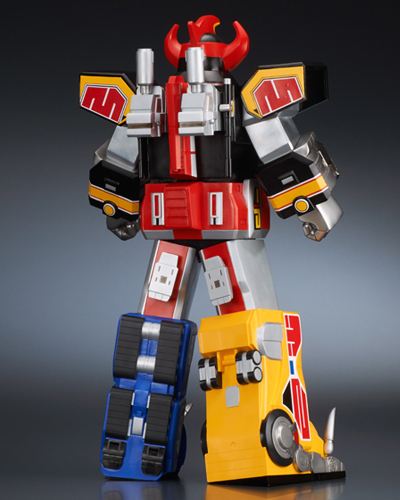 X-Plus' first "Super Sentai Robo Gigantic" release: Daizyujin! The detailed work of X-Plus is apparent even in this rear view. 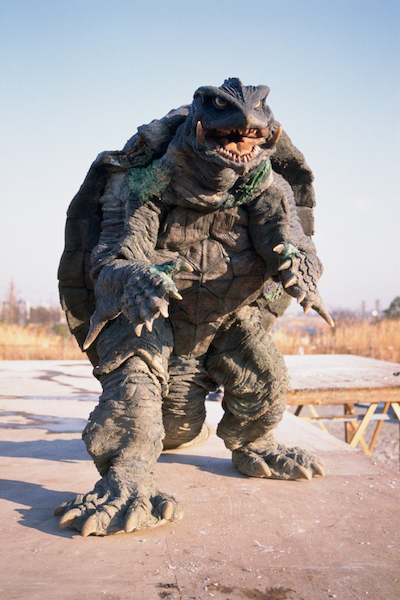 "Daizyujin" from "Dinosaur Task Force: Zyuranger" (1992) — perhaps better known to fans outside of Japan as the "Dino Megazord" seen in the US adaptation, "Mighty Morphin Power Rangers"! 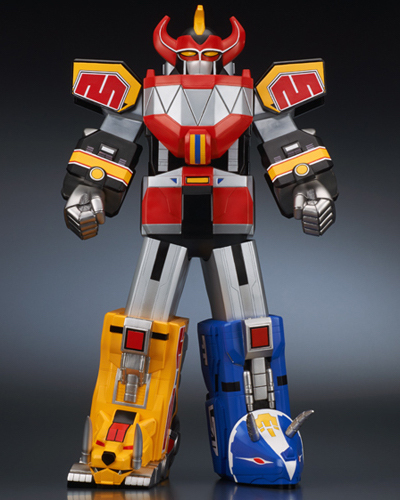 Now, for the first time, famous giant robots from Toei's long-running Super Sentai series are to be issued as large, vinyl display pieces — not in hard plastic nor diecast metal. Daizyujin wielding the mighty "Godhorn, the Dinosaur Blade"! While the figure itself has limited moving parts and poseability, the head, shoulders, and wrists can be moved. 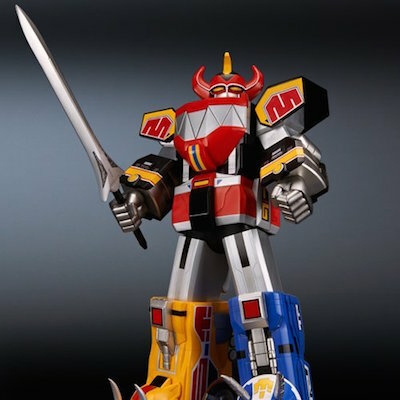 The bonus here are the major weapons, such as the "Kyoryuken" sword and the "Mammoth Sheild", two sets of fists (one to hold the respective weapons), and a stand for the shield. Of course, the great appeal of this piece is its sheer size and incredible detail. At the ready with the "Kyoryuken" and the "Mammoth Sheild"! "Daizyujin" is now scheduled for release this coming July and is listed to retail for ¥24800 ($227.30 USD). Stay tuned for the future entries in this exciting new line-up from X-Plus in conjunction with Plex — I'm hoping for the giant robots from "Bioman" and "Sun Vulcan"! 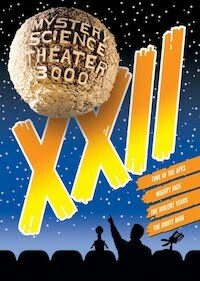 Ultimate Blu-ray Package Dropping July 22nd! 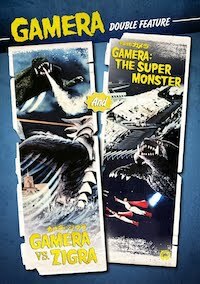 Jacket design for "Heisei Gamera 4k Digital Restoration Blu-ray Box"! 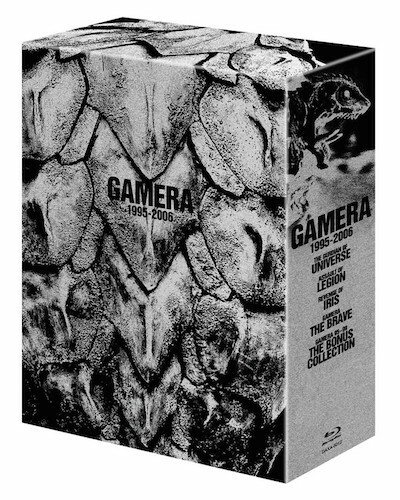 Hitting Japanese shelves this July 22nd will be a special six-disc Blu-ray box set containing the ultimate 4k restorations of all four of the Heisei Gamera films, including Shusuke Kaneko's 1990s trilogy and Ryuta Tasaki's GAMERA THE BRAVE (2006), the latter film in its first domestic BD release. 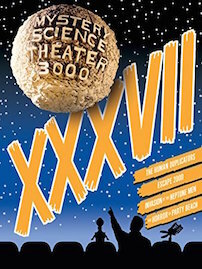 For fans of the 1990s trilogy, at the very least, this set boasts the ultimate restorations of the films ever issued on any home video format. The guts of this ultimate Blu-ray box are spilled for the first time! One of the 750 unpublished photos included in the special book! 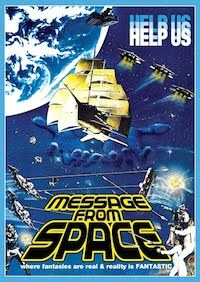 Three-sixth view of the soon-to-be-released Blu-ray box set! 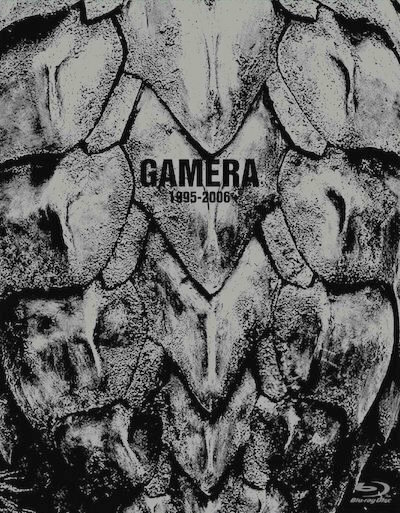 Also contained in this ultimate digipak box set are two booklets; one not being a "booklet" at all: "G I-III Sfx & Art: Photographs" features 200 pages of 750 unpublished photographs of artwork and props from the '90s Trilogy. 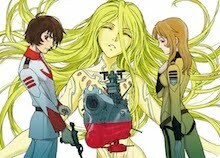 While the "G I-IV Complement Books (sic)" is 32-pages of interviews on the 4k restoration, updated and revised materials from the original Laserdisc booklets, and Shinji Higuchi's LD jacket designs for those releases. MSRP: ¥38000 ($349.00 USD). 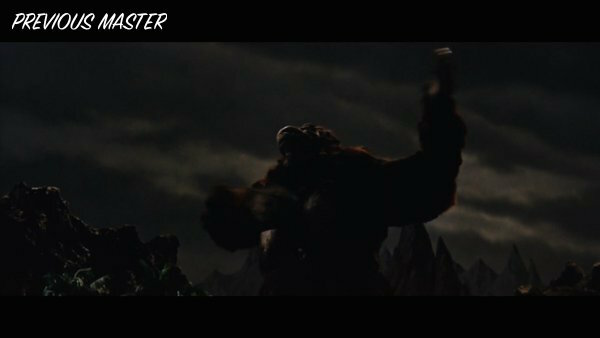 "KING KONG VS. GODZILLA" 4K REMASTER SHOTS Teaser Compares Old Master & New Restoration! Chirashi (handbill) heralding the premiere broadcast of the 4K Scan! 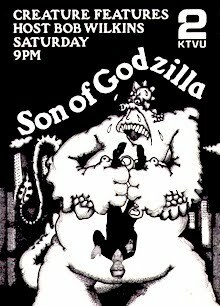 On October 1st of 2015, I reported on the then-upcoming Nihon Eiga Senmon Channel's satellite cable broadcast of a newly-completed and restored version of KING KONG VS. GODZILLA (read more here), which was followed up this past May 1st's breaking story on the 4k remaster of the film, which has been in sore need of a proper restoration for more than forty years (read more here). 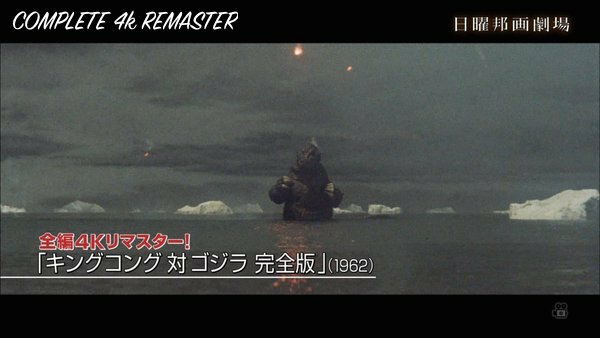 Here are screenshots from a teaser trailer that just began running, comparing the 2015 restoration with the 2016 4k Remaster bowing on the satellite cable provider this coming July. The full teaser trailer was unavailable at press time but will be featured in a future update once it has been uploaded by NESC. For now, there are eight images for you to compare. Stay tuned to this blog for more updates on this story as they break! 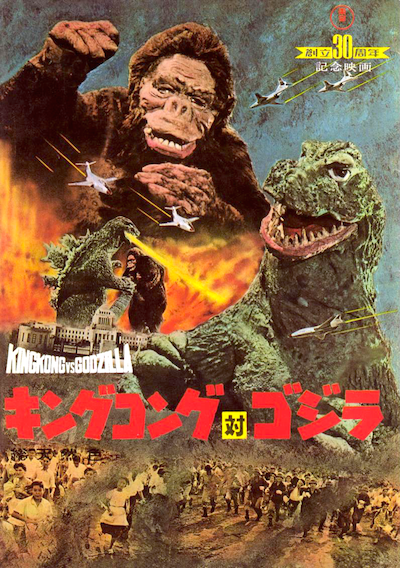 4K REMASTERING OF "KING KONG VS. GODZILLA"
Toho's original Japanese Theatrical Program Booklet from 1962. STOP THE PRESSES: Yes, you heard that right! 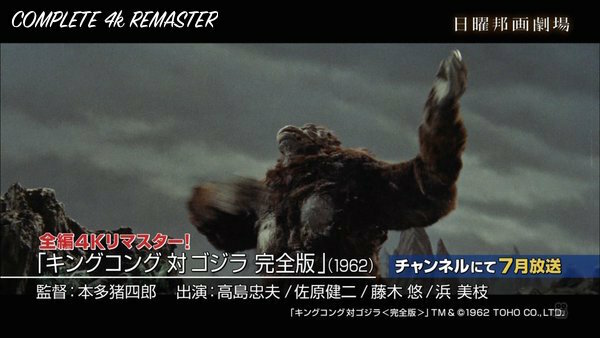 Just two years after a satellite cable broadcast of the 1962 monster mash, KING KONG VS. GODZILLA, boasting it as the "complete version" (read more here), it was announced to the media last night, that a 4k restoration scan of the film was recently completed in Japan. 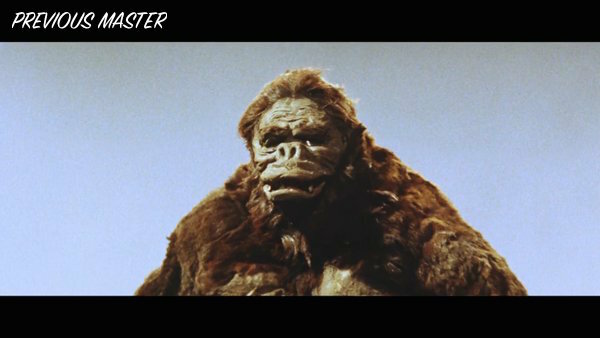 Toho's extensive 4k digital "remaster" will premiere this July — but wait, that's not all! The on-screen announcement (photo courtesy Kazuki Kishimoto). 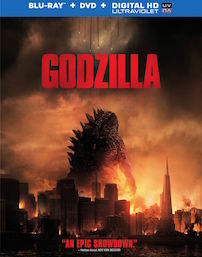 Between June and August, 2016, the satellite cable outfit, Nihon Eiga Senmon Channel (Japanese Movie Speciality Channel), will be running "Godzilla: First Impact"; a retrospective hosted by several celebrities, who introduce the first Godzilla movie they saw, and what that film means to them. The retrospective commemorates the July 29th bow of Anno Hideaki and Shin Higuchi's GODZILLA RESURGENCE. 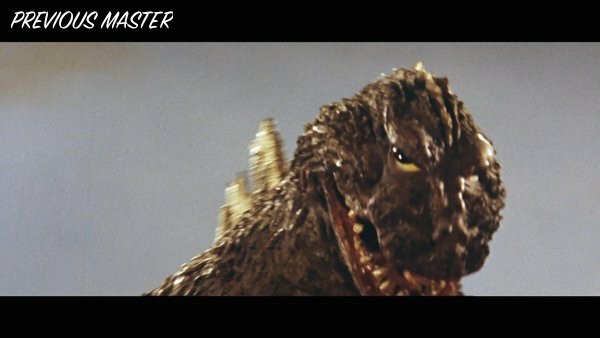 Nihon Eiga Senmon will rebroadcast the 4k restoration of GODZILLA. 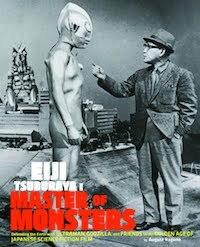 In June, the 4k digital remaster of Ishiro Honda's GODZILLA (1954) will be hosted by actor and musician Ryudo Uzaki, who starred in Shusuke Kaneko's GIANT MONSTERS ALL-OUT ATTACK (2001). Also that month, Kazuki Omori's GODZILLA VS MOTHRA (1992) will be hosted by gravure model-turned-actress, Manami Hashimoto (Onechanbara). 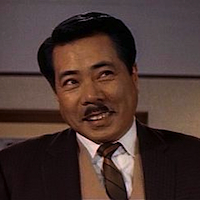 Pin-up model Hashimoto will host GODZILLA VS MOTHRA (1992). Honda's 1954 original will repeat in July, this time hosted by Hiroki Hasegawa and Satomi Ishihara, the stars of the upcoming GODZILLA RESURGENCE. 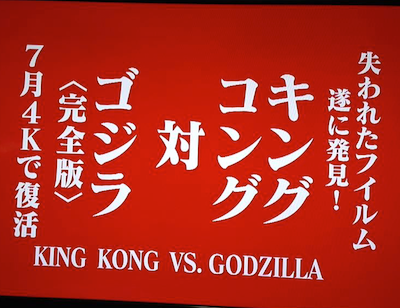 Film producer Toshimichi Otsuki (Evangelion: 3.0) will introduce Jun Fukuda's SON OF GODZILLA (1967), while actor Shiro Sano (Godzilla 2000) will host the premiere of the "complete digital restoration" of KING KONG VS. GODZILLA — very exciting news! 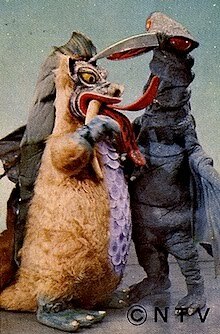 The kaiju family that stays together... 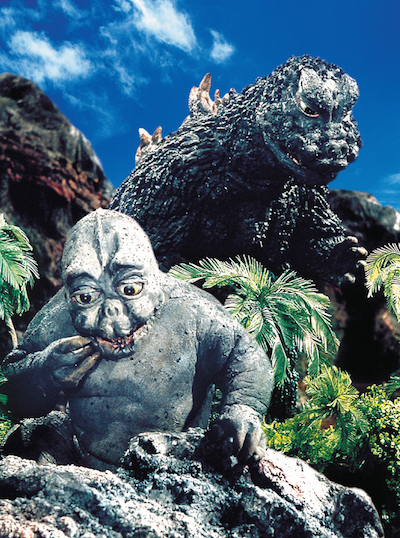 SON OF GODZILLA (1967). 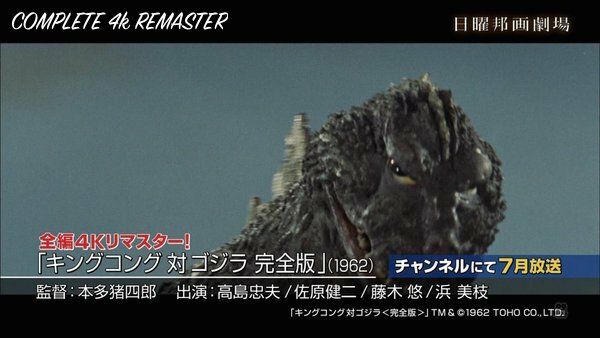 Judoka Silver Medalist, Shinichi Shinohara, will host Omori's GODZILLA VS KING GHIDORAH (1991). Nihon Eiga Senmon has stated that there will be a total of ten celebrities, meaning that more titles and hosts are to be revealed. 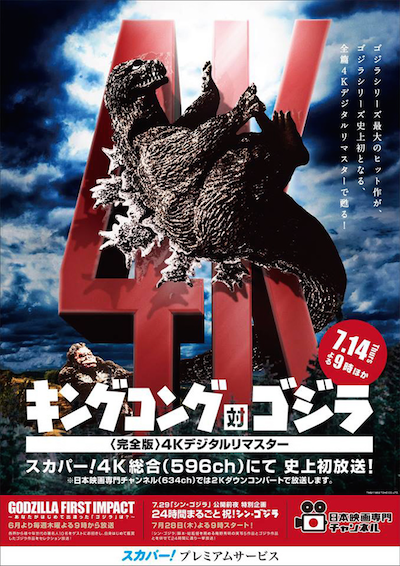 In the meantime, they have also announced a 24-hour Marathon of Big G movies on the eve of GODZILLA RESURGENCE, including broadcasts of five features and shorts by Anno. 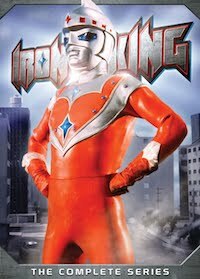 Those screening during the marathon are LOVE & POP (1998), RITUAL DAY (2000), METEOR MANAGER (2002), CUTIE HONEY (2004), and THE GIANT GOD WARRIOR APPEARS IN TOKYO (2012). 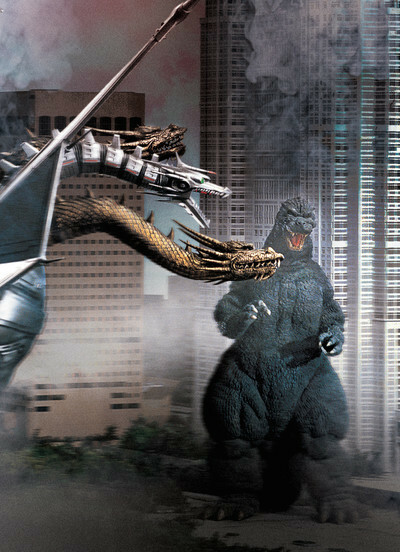 GODZILLA VS. KING GHIDORAH (1991) will get an Olympic treatment. 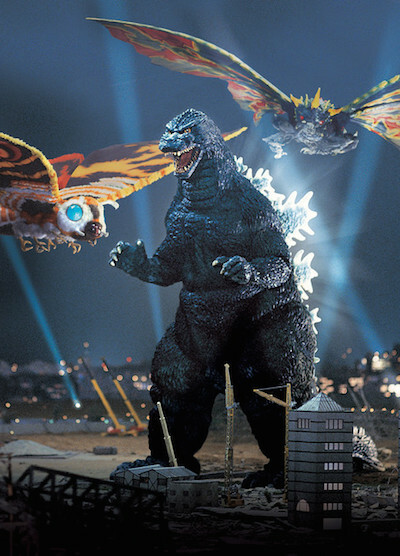 Additionally, the celebration of Godzilla movies will also be extended to broadcasts of both Emmerich and Edwards' 1998 and 2014 feature films on Nihon Eiga Senmon's "Sunday Movie Theater". 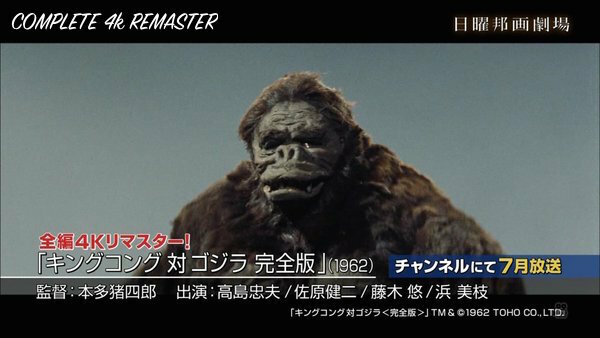 While all of this Godzilla Goodness is going to be fantastic for those in Japan to enjoy — by far, I'm the most excited by this 4k restoration of KING KONG VS. GODZILLA, naturally. And so should we all. 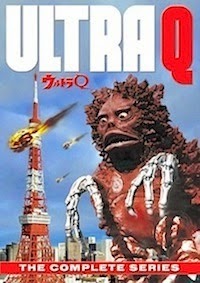 VHS cover for the original Toho Video release from June 1985. 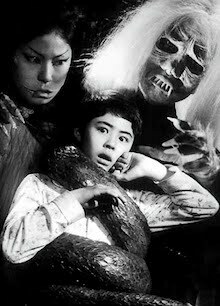 When I saw the first restoration (stitched together with a worn 16mm anamorphic print) on Toho Video's VHS/Beta release way back in '85, the film was only 23 years old — now, it's 54 years old! 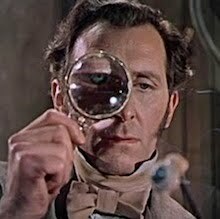 So, you could say that this 4k digital remaster of the "complete version" has been a very, very long time coming.